Are Fruit Juices Better for My Teeth Than Soda? 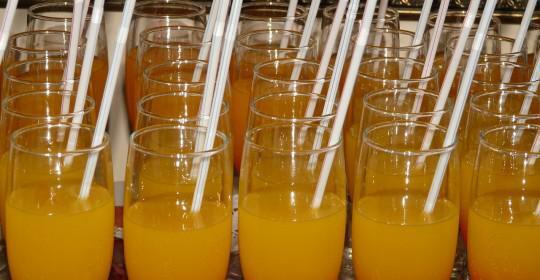 Saeid Badie, DDS Blog Are Fruit Juices Better for My Teeth Than Soda? If you’ve been following the latest health trends, then you’ve undoubtedly heard that fruit juice is in. Health gurus claim that it’s an easy way to get essential vitamins and other nutrients. But your dentist may not be quite so enthusiastic about fruit juice. So is fruit juice actually better for your teeth than soda? And just how much harm can a morning glass of OJ actually do? Here’s what you need to know. It’s no secret that soft drinks, with their high sugar count, are a major contributor to tooth decay. But the sugar in soda isn’t the only issue here. Certain acids found in sodas can erode your teeth. Your saliva is considered a fairly pH neutral compound – it sits at 6.5 on the pH scale, making it slightly more acidic than water, but not acidic enough to do any harm. Studies have shown that dental decay starts when the environment around your teeth falls to a pH of 5.5, which is considered mildly acidic. On the pH scale, the difference between any two numbers is ten times – so that means a drink with a pH of 4 is 10 times more acidic than a drink with a pH of 5, and 100 times more acidic than a drink with a pH of 6. Most sodas tend to have a pH between 2 and 2.5, while black coffee has a pH of 5. That means soda is about 1000 times more acidic than coffee is. Most patients tend to believe that fruit juice is healthier than soda, but when it comes to your dental health, the facts say otherwise. Juices like grapefruit juice and tomato juice have about the same pH as most sodas – in the range of 2.5 to 3.5 (so about 100 times more acidic than coffee), which is considered moderately acidic. There are also multiple kinds of acids that can erode your teeth, and the worst offender – citric acid – is one that is quite common in fruit juice. Worse yet, fruit juice is essentially devoid of nutrients when compared to whole fruits – and the sugar in soft drinks that promotes decay is the same sugar that is found in fruit juices. A single 12-ounce serving of apple juice has 9.8 teaspoons of sugar, while the same sized serving of Coca Cola has 10 teaspoons. Are fruit juices better for your teeth than soda? Evidently not. The absolute safest drink for your teeth is plain water, as it is pH neutral. But don’t feel like you have to restrict yourself to just water if you want to have healthy teeth. Soy milk has a pH of 7, making it a neutral drink – just like water. Cow’s milk has a pH of 6.8, making it slightly acidic, but studies (like one published in the Journal of the American Dental Association) have found that it is very effective at neutralizing other, stronger acids – plus, milk is rich in calcium and Vitamin D, which are essential to good dental health. Unsweetened black or green tea is another great drink for your teeth, although too much tea can cause staining. Fruit juices were once thought of as healthy, but the research now shows that they’re actually just as bad for your teeth as soda – if not worse. That’s why you’ll want to exercise moderation when drinking fruit juices, and if possible, try to drink milk instead. 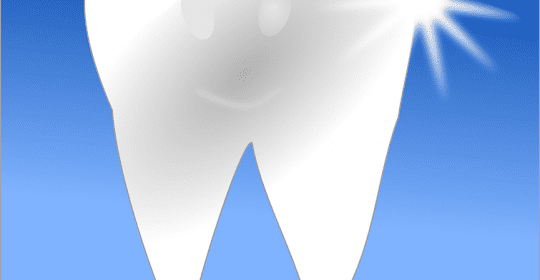 A Tucson dentist can help you to create a dental nutrition plan that meets your needs. Call Badie Dental at (520) 433-9800 to book a consultation with Dr. Badie and learn more.